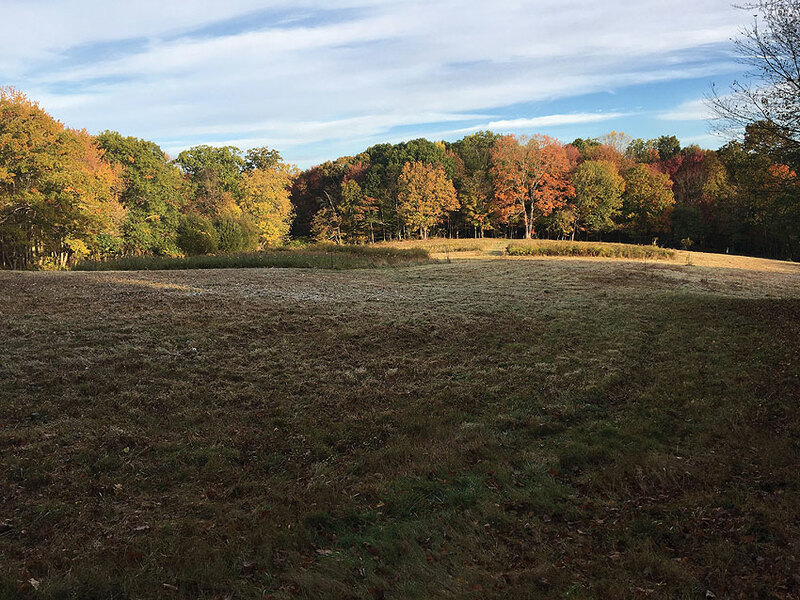 Join the Branford Land Trust on Sunday, November 18 at 1:00 PM for this traditional pre-Thanksgiving hike at Van Wie Woods, exploring fields, woodlands, streams, and granite outcrops of the 100 acres donated by two generations of the Van Wie family. Led by Bill Horne and Matt Reed, this is a great opportunity to enjoy the outdoors and refreshing fall weather with friends and family. We’ll meet at the trailhead at 87 Red Hill Road. Directions: From Exit 56 on I-95, go south on Leetes Island Rd. for 0.1 mile, and turn left (east) onto Red Hill Rd. Proceed to #87, which is on the right, and park on the right side of the road or at the pull-off by the pond. The full walk is approximately two miles long (90 minutes) and of moderate difficulty with two or three short steep stretches. Walkers also have the option of a shorter (one mile) walk. Please wear appropriate dress and comfortable, supportive walking shoes. Bring water. Walking sticks welcome. The walk is appropriate for kids as young as six or seven. Parents of younger children should use their discretion and be prepared to carry them for parts of the route. The Branford Land Trust is a non-profit organization, protecting Branford’s open space and natural resources since 1967. This annual event is free and open to the public. For more information email info@branfordlandtrust.org.Photo by Jen Payne.